Visual Studio Code>Themes>Gruvbox ThemesNew to Visual Studio Code? Get it now. 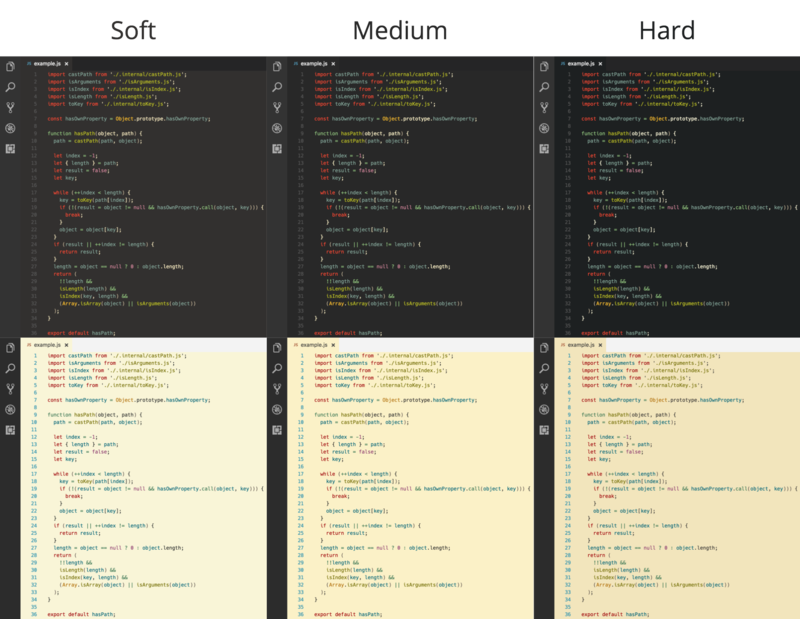 All gruvbox themes for Visual Studio Code. This extension includes all gruvbox themes for Visual Studio Code. Designed as a bright theme with pastel 'retro groove' colors and light/dark mode switching in the way of solarized. The main focus when developing gruvbox was to keep colors easily distinguishable while still being pleasant on the eyes. This extension can be installed through the extensions sidebar by searching for "gruvbox-themes" or by running ext install gruvbox-themes from Quick Open (⌘+P). Pavel Pertsev for creating the original gruvbox for Vim. Brian Reilly for the creating the gruvbox Sublime themes containing the tmTheme files that this extension uses.